Preparations for bringing a new baby into your home usually start with getting the baby's room ready, a process that involves choosing furniture, picking out bedding and painting the room. But what about the floor? Is the old carpetclean enough for an infant, especially when you know your new addition wants to taste everything? On the other hand, will installing a clean, new carpet pollute the air with volatile organic compounds (VOCs) like toluene and benzene that can endanger your child's health? 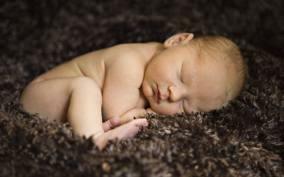 Despite the general bias towardhardwood flooring as the cleanest, greenest and most chic floor covering, wall-to-wall carpeting provides a comfortable, nonslip surface that's safer for infants, children and even the elderly, all of whom may be predisposed to more accidents. Plus, carpet's ability to absorb sound can go a long way toward maintaining your sanity when playdates take place at your house [source: Canadian Carpet Institute].